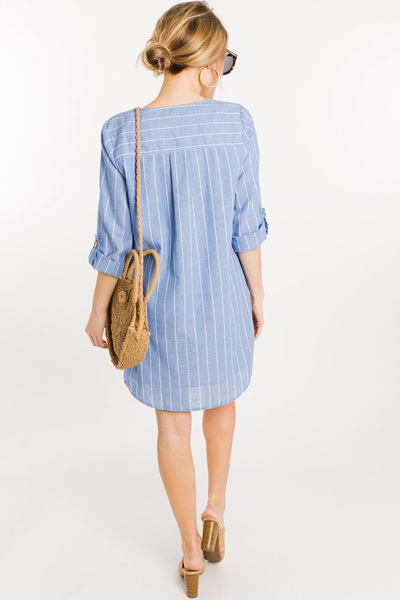 Striped and sophisticated, this dress will be a go-to in your closet for all things casual cute! The cotton blend fabric is crisp and classic, as are the blue and white stripes and tortoise buttons! Dress is lined.